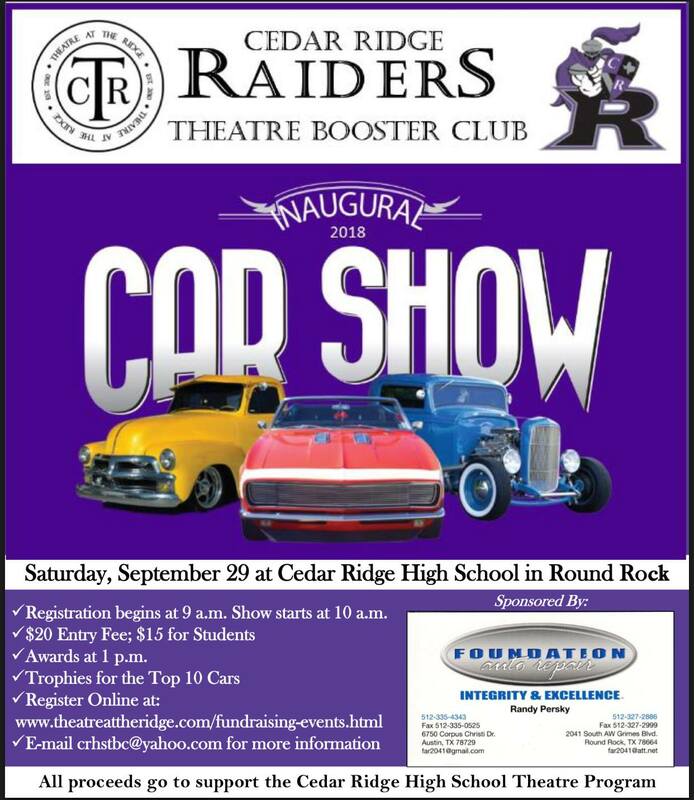 Come on out and be a part of Cedar Ridge High School’s first car show September 29. Registration begins at 9am and trophies will be given out to the top ten cars. Proceeds will benefit Cedar Ridge Theatre Program. Entry fee is 20.00, and 15.00 for students.